REALTOR®, Helping you make the right move! Renovated 3 bedroom, rancher style, end unit townhouse with bright freshly painted interior that opens onto a deck and large fenced garden. Features include a brand new roof, an updated kitchen, fully renovated bathroom, vinyl plank floors, all new doors, crown moulding, baseboards, trim, lighting, stainless steel appliances, beautiful electric fireplace, in suite laundry, storage and more! 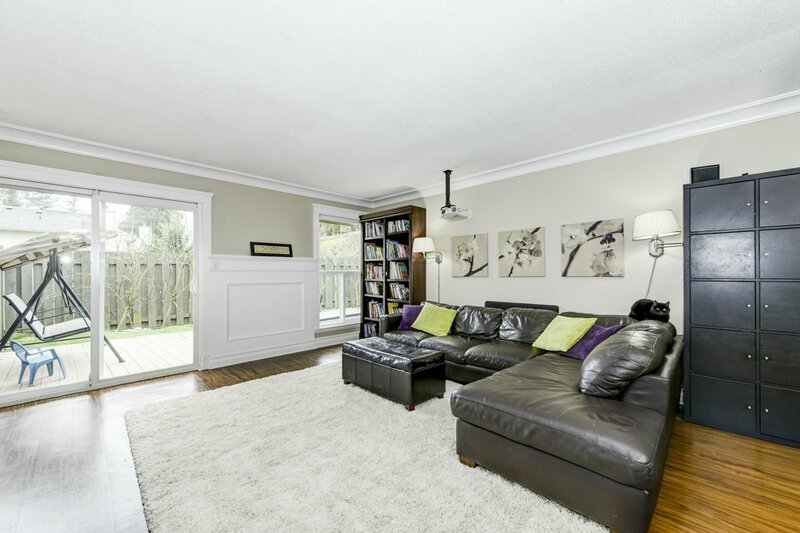 The garden backs onto a playground and is centrally located, close to transit, recreation and shopping. See the virtual tour for floor plan. OPEN HOUSE FEB 3rd 12-2PM.